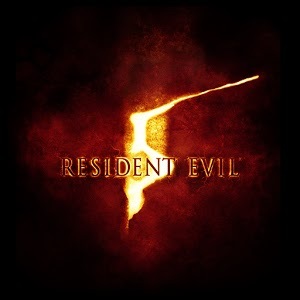 Resident Evil 5 APK also known as BioHazard 5 is an action adventure game by Capcom gaming franchise. Y’all remember The Umbrella Corporation this evil group time has ran out and unluckily for us it brings a new. More dangerous threat to humans. Almost a decade after Raccoon City incident, Chris Redfield has been fighting the rise of bio-organic weapons all over the world. Now a member of the Bio-terrorism Security Assessment Alliance (BSAA). Chris is sent to Africa with a goal in mind, to investigate a biological agent that is transforming the populace into aggressive and terrifying creatures. He won’t face this battle alone as he would be Joined by the beautiful and resourceful BSAA agent, Sheva Alomar, as joint a force. They go on a journey together to uncover the truth behind the scary chain of events. Featuring a revolutionary new co-op mode of gameplay. Resident Evil 5 APK will let players experience fear together as terror moves out of the shadows and into the light of day. And That is pure fun you don’t wanna miss out on. NOTE: Resident Evil 5 APK is for NVIDIA SHIELD Android TV only and requires 5.5GB of free storage space to download. How to Install: Unzip/Unrar and place “com.nvidia.residentevil5” to SDCard/Android/Obb , Install APK and Play! R.e 5 work in asus ZenFone 2 , 4gb ram ? Sorry for that. Are you usig Nvidia shield device? Cause the game is exclusively for the device. no it can’t run on normal android phone. Can R.Evil 5 run on Marasmallow version…???? Can i play resident evil 5 is play in sony Xperia z2? No Sir.. Only for NVidia Shield devices. Is there a way of playing this game after rooting using device faker app?? Can it play on 470mb RAM? No it can’t play in any of the devices listed. Do you have any ideas why ? Cause you didn’t copy the obb file to the right folder. then i copied the com.nvidia.residentevil5.26.apk to Download . launch it and says fail to download fils …. sorry John, i went on holiday in Spain for a week !! Its still trying to download, are the file name right and the location write from the path i wrote above ? Method #1: Put The obb in Android/data/(r.e5 folder)/files/obb. All Nvidia lightspeed studio games need validating license except Half life 2..